Our Mission is to provide the community a path to artistic excellence by expanding opportunities to perform at the Dairy and engage new audiences with innovative arts experiences. Our Goal is to bring new and unique offerings to Boulder in performing arts, cinematic arts, and visual arts that can engage new audiences, expand the horizons of existing audiences, or create new opportunities for emerging artists and arts organizations to present quality work. Please note: Dairy Art Center staff are not determine who receives these grants, they are chosen by the volunteer advisory committee. Sophia Boedecker is on the board representing the Boedecker family and Foundation. Born and raised in Boulder Colorado. She is a certified yoga instructor with over 7 years of teaching under her belt. She owns and operates a yoga retreat and vacation hotel in Nosara Costa Rica, and splits her time between Boulder and Nosara. Sophia has been involved in the arts, acting, singing, and dancing her whole life. Currently she performs with her husband who is a musician, singing and dancing with him locally and internationally. E. Richard Polk is president of Boulder’s 47-year-old Pedestrian Shops, a leading retailer of comfortable footwear noted for social programs and green business practices, including collecting 40,000 pairs of reusable footwear for people in need. Pedestrian operates a 10 kilowatt solar array and may be the world’s first solar powered shoe store. Richard’s community service honors include a Pacesetter Award from the Daily Camera for leadership in business, the Ron Porter Lifetime Achievement Award from Downtown Boulder Inc., the Boulder County Business Hall of Fame, and the Franny Reich Local Business Hero Award from the Boulder Chamber of Commerce. While serving on Boulder’s City Council from 2005 to 2007, he proposed Boulder’s socially innovative Solar Rebate ordinance, which has contributed to the dramatic increase in solar installations since it became law. Richard chaired The Dairy Center for the Arts board for a decade. During that time The Dairy raised millions of dollars for improvements including the Boedecker Art Cinema. In 2014 The Dairy won voter approval of City Ballot Issue 2A, providing an estimated $3.8 million to update the building’s theaters and infrastructure. Sustainability improvements completed include computer-controlled HVAC systems, and recycling initiatives. Most recently The Dairy has received a number of substantial legacy gifts, including its largest gift ever of $1 million from Gordon and Grace Gamm. The updated building reopened to community applause in 2016. Richard also serves on the community affairs advisory board of the Boulder Chamber of Commerce, the Downtown Boulder Partnership public policy group and foundation, Xcel Energy’s Renewable Energy Trust, Boulder’s solar grant committee and the Polk Family Charitable Fund. Richard attended the Dublin School in Dublin, N.H., and the University of Denver. A Chicago native, his first job was at Polk Brothers, Inc., a family business that was known as the world’s largest retailer of name brand appliances. A native of Guatemala, Carmen was the first in the Boulder area to teach and perform Baile Popular, the popular dances of Latin American and the Caribbean. Since 1991 she has taught at many public and private venues and to students of all ages, sharing her love for a language of movement that transcends age, cultural background and social class. Her philosophy is that dance should nurture the spirit rather than the ego. Carmen has served as an artist in residence at various colleges. In 1995 Carmen was nominated for the Mayor’s Award for Excellence in the Arts; in 1997, Carmen was honored to receive the Boulder County Ninth Annual Multicultural Award for the Arts. In 1996, Carmen founded Grupo Macondo, a performing group of dancers from different cultural and ethnic backgrounds. The group’s mission was to share only the most authentic forms of popular dance, learning together and eventually performing under Carmen’s direction. Members of the group formed fast friendships that have developed into a kind of extended family, a support system common in Latin America. Grupo Macondo’s multi-year performance piece, “Alma, Corazon y Ritmo” (Soul, Heart and Rhythm), a compilation of folkloric and social dances from Afro-Indo-Ibero America, was presented in schools and community venues throughout Boulder County. The piece was awarded many grants. In 2010, Carmen began to move out of her role as teacher and dancer to a less physically demanding role as a mentor to new teachers and a community liaison. With twenty-five years of teaching under her belt, there were few in Boulder County who hadn’t taken a class from Carmen or seen a performance by Grupo Macondo. No one is better acquainted with the dance and artistic community, especially the African and Latin American dance and artistic community, than Carmen. She has built relationships here that will serve as a source of satisfaction for the rest of her life. Carmen has a continuing strong interest in investigating the roots of Latin American and Caribbean dance. She has not only traveled to but has lived in many countries including Cuba ,Costa Rica Brazil, Colombia, Spain, Guatemala, Argentina, Dominican Republic, Jamaica, and Panama. Carmen has worked for the City of Boulder, on a volunteer basis, as a mentor for YOAB (the Youth Opportunity Advisory Board). YOAB provides mentoring, community leadership and grant-giving programs for exceptional Boulder Youth. In 2011, Carmen joined Grupo Compañeras, a Boulder-based branch of Centro Amistad. The group’s mission is to enhance the lives of women who speak Spanish, while fostering personal and family well being in an inclusive and safe space. Currently Carmen has been performing for Motus Theater “Salsa Lotería”, an autobiographical monologue performance exploring the life, strength and resilience of Latina immigrants from our community. Formerly the Managing Director of the Colorado Dance Festival, Felicia Furman has been a supporter and patron of the arts in Boulder for over thirty years. She has been a professional in the field of historic preservation in New York City, Washington D.C., and Boulder, as well as a professional fundraiser. As a documentary film producer, she directed and produced the PBS documentary SHARED HISTORY, which is the story of the relationship between her family and African American families descended from Africans her ancestors enslaved. She currently serves on the Boulder Arts Commission and on the Board of Directors for Coming to the Table, an organization whose members are descendants of slaves and slave owners working toward healing and reconciliation. Felicia currently publishes a blog called JUST LIKE FAMILY www.justlikefamilyblog.com, which focuses on the experiences of African American women who raised white children through the eyes of the white adult children and the biological children of these women. Born and raised in Hampton, VA, Beth lived in Virginia Beach, VA before moving to Boulder in April of 2013. Beth currently works for the Boulder Community Health Foundation as their Foundation Program Manager. Before working for the Foundation, she worked at the Dairy Arts Center for 5 years as Development Director where she worked on their trans-formative Capital Campaign, created a children’s program for Title I kindergartners called Kids at the Dairy, and formed many relationships within the community. Beth lives in North Boulder with her fiance Andy and her cat named Mitzi. Allison Toth currently works as the Sales & Client Services Manager at the Dairy Arts Center. In this role, she works with the hundreds of clients of the Dairy Arts Center, and helps them book and rent theaters, and other spaces, for their specific needs. She is passionate about costuming and fashion – and she runs a business on the side in which she sells vintage clothing online and from the inside of a refurbished mini school bus boutique. She earned her Bachelor of Arts Degree in English Literature from Arizona State University and has been traveling the world upon graduating. Prior to Colorado, she has lived in Prague, in the Czech Republic, and in Madrid, Spain. Please take a look below to learn more about the grant and how to apply. What guidelines should I consider while completing my application? Does it provide an arts experience new to Boulder? Does it provide an arts experience that can engage new audiences? Does it include an educational component? Your program must also happen at the Dairy Arts Center in order to be considered for funding. What materials do I need to submit for my application? How do I send them? First, you will email Allison Toth, Sales and Client Services Manager, atoth@thedairy.org to determine availability of your desired venue. Once a space has been reserved, please mail a PDF with the following by Sunday, December 31, 2018 at 8am. A two-page maximum description of your project describing how your proposed activity meets the guidelines. Please describe your target audience(s). One-page maximum budget (income & expense only) and brief explanation of how the funds will be used. Please include other sources of funding in-hand or projected. One-page maximum marketing plan regarding how you will inform your target audience(s) of your project. Can an applicant submit more than one proposal to be reviewed? Only one proposal is allowed per organization or individual. If you submit more than one request, you will be disqualified. Submit your completed application (description, budget and marketing plan) in PDF format to boegrants@thedairy.org. Who makes decisions on grants and when? 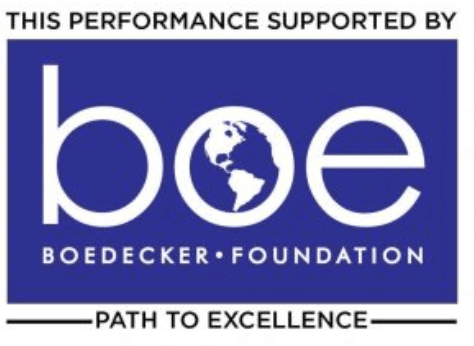 All granting decisions will be made at the sole discretion of the Boedecker Foundation Path to Excellence advisory committee. Applications will be accepted beginning November 5, 2019. The committee will review all applications and will request an interview with finalists. You will be notified February 15, 2019 if you will be invited for an interview. Funding decisions will be determined and successful applicants with be notified by April 15, 2019. The committee is offering up to $25,000 in grants each year, with a minimum $5,000 each. Do you have to be a 501(c)3 to be eligible for a grant? No, you do not have to be a 501(c)3 to apply. Are individual artists eligible to apply? Do you fund Visual Art projects? Visual art exhibition applications must be submitted directly to the Visual Arts Program Curator. Please consider use of all the galleries for your application. Visual arts applications must be submitted as pdfs on or before December 31, 2019. Contact Jessica Kooiman Parker, Curator of Visual Arts, at jkparker@thedairy.org for more information. Do I have to request space from the Dairy Arts Center ahead of time? You must reach out to our Client Relationship and Events Manager, Allison Toth atoth@thedairy.org before applying to ensure we have the space available for your rental. If awarded, do I have to pay for rental space at the Dairy? YES! Be sure you follow all Dairy policies when scheduling your show/project. The Dairy staff has NOT read through your application and will not automatically put all space uses you may need at the Dairy (like rehearsals, use of the lobby space, building sets, etc.) on hold for you. That is part of the awarded organization’s responsibility. If you are awarded a grant, the Dairy will also need a signed contract for the space from our Sales and Client Services Manager, Allison Toth atoth@thedairy.org. Who has been funded in the past? If I have specific questions regarding the grant, who do I reach out to? If you have any questions about the grant or the process, please email selection committee member Felicia Furman at ffurman@ecentral.com. If awarded, what is the grant report format and when is the grant report due? Please complete the Colorado Common Grant Report. Click here. Your grant report is due ONE MONTH after your project has been completed. Please send your completed report to boegrants@thedairy.org . If awarded, when do the funds arrive? Funds will be distributed in June 2019.